Check out some of our most popular teachers near Carmichael, CA including Sacramento, Elk Grove, Roseville, Fair Oaks and West Sacramento. Percussionist and composer Marc W. was born in Switzerland, where he studied classical percussion at the Geneva Conservatory. He has lived in the United States since the 1980's, where he studied composition and mallet technique on the vibraphone at the Berklee School in Boston, then moved to New York City to further his jazz performance and percussion skills. Since that time, Marc has toured the U.S., Europe, Japan and Brazil, and can be heard on over 20 recordings, including 4 solo albums. Marc's interest in electronics led him to push the boundaries of live performance with the "electronic vibraphone", where he is recognized as a pioneer on this instrument. Beside a performer and a composer, Marc teaches workshops here and in Europe, and is very involved in making computers accessible to visually impaired musicians. ublished an iBook, titled "Drum Talk - An Introduction to Percussion Ensemble", available now on iTunes. This book demonstrates the techniques he developed during his many years teaching ensembles of all ages at the Filomen M. D'Agostino Greenberg Music School, it features 56 video clips and over 80 musical examples. Every student needs a different approach depending on their temperament and goals. After assessing the student, I will tailor my teaching to achieve the most out of each lesson. If a student is willing to commit to practicing outside of the lesson, after six months he or she will have the ability to play with others, and decide for him or herself if this is something he or she will pursue further. The achievement level is in the hands of the student, depending on their level of commitment and abilities. Marc is an incredibly friendly drum coach who also knows when to push his students to their limits. He has the rare ability to inspire his students so that they perform to the best of their abilities. If you don't sign up with Marc for your next drum lesson, I would suggest re-evaluating your decisions. Marc is a great teacher. Classes are always very friendly and productive. In my case, each class begins with a review of progress/practice, and ends with a meaningful and personalized homework. He is also very flexible, sometimes I had to move my classes around and he's always super responsive and understanding. I knew nothing about drums, and I am happy I decided to begin my journey to learn how to play them, with Marc as a mentor! Provides a great ideas of practicing and lots of fun Music rhythms. I've played drums for over 10 years specializing in the rock and metal genres. We'll cover everything from different stick grips, grooves, double bass patterns, your favorite songs and everything in between. If you're looking to improve your overall knowledge on the drum kit and want to have fun while learning, then you came to the right place! Let's get started! I've been playing and studying guitar for 17 years as well as teaching for 14. I grew up in Minnesota and started playing guitar when I was 13 years old. Self-taught for three years, I developed a passion and love for music. Upon turning 16, I expanded my knowledge studying with a local guitarist, a musical genius in my opinion, who made a huge impact on my playing. In the fall of 2007 I relocated to Los Angeles to attend Musicians Institute for guitar performance. I graduated in 2009.
ilm “Extract”. I study, perform and have vast knowledge in the styles of blues, classical, country, folk, jazz, metal and rock n' roll. Everyday as I continue to grow as a teacher and musician, so does my love for the guitar. I very much enjoy sharing my knowledge and seeing each of my students progress and grow as musicians. Every lesson will be tailored exactly to what you want to learn. We can cover specific topics such as music theory, harmony and improvisation, but if you would prefer to just work on learning your favorite songs, that's precisely what we'll do. Let me know what you want to learn and it will be done. We'll monitor your progress to help reach your goals. Most importantly, we will have fun while learning! I can provide my own equipment. Guitar, amp, and cables. Students should have their own guitar and amp. I specialize in rock and metal, but I love to teach other styles like classical guitar, blues, jazz, and country. Jason is awesome. He is intelligent, prepared, cool, kind, and patient. I'm really looking forward to getting better at this guitar thing with him. I STRONGLY RECOMMEND HIM YOU LOVERS, ARTISTS, FRIENDS, AND STRANGERS. We started off with a different drum instructor who turned out to be very unreliable. I asked take lessons to provide me with someone with good reviews. Someone who is punctual and reliable, that's when we met Jason. Jason is a super amazing instructor who has incredible patience. My son Nathan has never had any musical education before. After taking lessons with Jason for about three months he has a vast knowledge in playing drums and reading music. Jason utilizes his time very productively during lessons with no rush. He even goes to the extent to recommend and suggest products that will help Nathan improve. He is very humble, sweet and trustworthy. My family is glad that he came along. Thank you Jason from all of us. Jason is a great,cool, and awesome guitar teacher. He has good taste in music and knows a lot of good ways of teaching me. I have improved a lot over the last few months since he came. My guitar solos are improving...and we have a lot of fun jamming. He is the BEST guitar teacher ever! I want to make sure my students have a good time learning drums but I also want to make sure they learn a lot..! I always make sure to ask my students what they want to learn and what their favorite music is... after that, I figure out what type of lessons to plan out. Thanks so much for your interest in starting music lessons with me. I’m so excited to share my passion for music with you! As Lao Tzu said: “Music in the soul can be heard by the universe." My main goal as a teacher is to help my students reach their goals. If my student wants to learn how to play rock, hip-hop, and jazz drums I believe that it's my job to teach them how to play those styles..! If my student wants to get accepted into a music school I will make sure that they are prepared for an audition whether it be for orchestral percussion, jazz drums, rock drums, etc. All students should (but don't have to) have a 3-ring binder to organize handouts in...! Things that drum students should have: A drum set, drum sticks, a drum pad, and a music stand. Things that guitar students should have: A guitar, a guitar tuner, and a music stand. Recommended book: Hal Leonard Guitar Method (Complete Edition) by Schmid and Koch. Drum specialties: Jazz, Latin (Brazilian, Cuban), African, Rock, Funk, Metal, Pop, Hip-hop, R&B, Blues, Country, Reggae, and Marching. I am proficient in drum reading, drum transcription, practice techniques, and drum rudiments and their application on the drum set. Orchestral percussion specialties: keyboard percussion (marimba, xylophone, glockenspiel, vibraphone, chimes), snare drum, timpani, bass drum, cymbals, tambourine, triangle, orchestral excerpts, etudes, technique, important literature, and practice techniques. Guitar specialties: reading music, tablature, chords, scales, improvisation, and technique. Emerson is awesome! The first lesson was great and I look forward to working with him on improving my guitar technique. Emerson is super patient and a great teacher! I enjoyed the learning process; I just hope my short fingers will stretch & curve in order to play the strings properly! I will help develop and strengthen your rhythm and snare technique. More Availability Coming This Summer! I am Certified Beginning Piano teacher as well as an intermediate level teacher. I studied piano at Cerritos College of Norwalk, CA and completed my Bachelor of Arts degree in Music with a focus in percussion from CSU Long Beach. I have consistently taught piano, music and drums since 2002. I have traveled the world to perform music. I have been to Brazil to study samba and its many different styles with the World Percussion Program of CSU Long Beach in 2006 and 2007. In 2012, I traveled to Colombia and Venezuela to perform with the band of Terratour, a humanitarian group. While touring, we collaborated with local musicians in local venues. d that's exactly how I perform- with tender, love, and care. I was once the other musical half of a Carpenters tribute band, Close To You. My friend and I learned many of the Carpenters tunes and collaborated with vocals, piano, steel drums, drums and other percussion. My teaching is focused on reading the notes (pitch), proper technique and rhythm. All are a part of the music-making process and should be equally strong. I start with young beginners when they can count to at least 10 and know the alphabet. The student must have the proper instrument and additional equipment, when necessary. The student is required to practice on a regular basis (daily is ideal). I am currently available for online or in-studio lessons. Please notify me if there is a day and time not available. I try to be flexible but do prefer serious and committed students. When signing up a child for the first time, it is best to make a one year commitment so the child can really learn to work alone and develop self-discipline and parental guidance and support is necessary for success. For adults, commitment to practicing is key- not just lesson attendance. You have all the ability and power to learn and be great- I'm just going to guide you all the way to your goal! Please notify me of the special need prior to booking lessons so I can accommodate. Michelle is a great teacher. She is patient, kind, and enthusiastic about music. My child loves going to class and hates missing a class (only when she's sick). She makes learning music fun but it also firm if the child doesn't meet the expectation. It's been a year since we started lessons and we couldn't be more happier. Michelle has been very good at keeping my 8 year old engaged and interested in learning to read music. We are looking forward to many more lessons. My name is Ray, I'm 30 years old, and was born in Queens, NY. I studied classical music for many years as a youngster at the Aaron Copeland School of Music college preparatory program. During this program I was introduced to Jazz, and around the same time began experimenting with synthesizers. I went on to study Electronic Production & Design at Berklee College of Music in Boston, and quickly became a very sought after studio musician and performer. I've been successfully teaching many instruments and proficiency levels for 16+ years now, and can say with pride that teaching is my passion, and I anticipate it being a very important part of the rest of my life. I enjoy reading nonfiction books on science, math, and philosophy, and am building a career as a pop music producer. 1. I have a very deep understanding of music, sound, and theory, and feel music to be one of my native languages. 2. I have devoted considerable amounts of time and energy studying neuroscience, which has greatly improved my understanding of the learning process. 3. I have been blessed with the tremendous amount of patience necessary to guide a student through the necessary steps it takes to learn at whatever pace is optimal, in order to maximize the efficiency of the learning process for each individual. Students must have their own instrument, and purchase their own materials (books, etc). From time to time I make my way to a local music shop, and am happy to purchase materials for reimbursement. Classical music is my background, and what I believe to be the most cognitively and emotionally fulfilling style of music to study and play. That said, I'm also a big fan of pop music (as well as other genres), and encourage students to enjoy learning their favorite songs from the radio. My understanding of music theory is extremely thorough, and I'm happy to incorporate as much or as little of it as the student's interest dictates, nevertheless maintaining the minimal amount of theory necessary to get the most out of learning music and the instrument. Thanks for checking out my profile! Please contact me with any additional questions you may have, as well as to inquire about day/time availability. I'll do my best to get back to you right away (usually within a few hours). My daughter is loving her cello lessons with Ray even more than she expected. She feels she is really improving. My son and daughter both take from Ray and they love him!!! My daughter started with him after she had had 2 other teachers and she improved immediately. She loves going to Ray because he teaches her to play the songs that she likes. Now she plays so many songs for memory!! My son loves going to piano and is always excited to see Ray. No matter what age, or skill level, i will give the student what he/she needs to have a solid foundation. I develop a great rapport with all of my students. Drum(s) include; snare drum work (if you can't wail on one drum more drums won't matter! ), this includes reading, rudiments, you know, the good stuff. 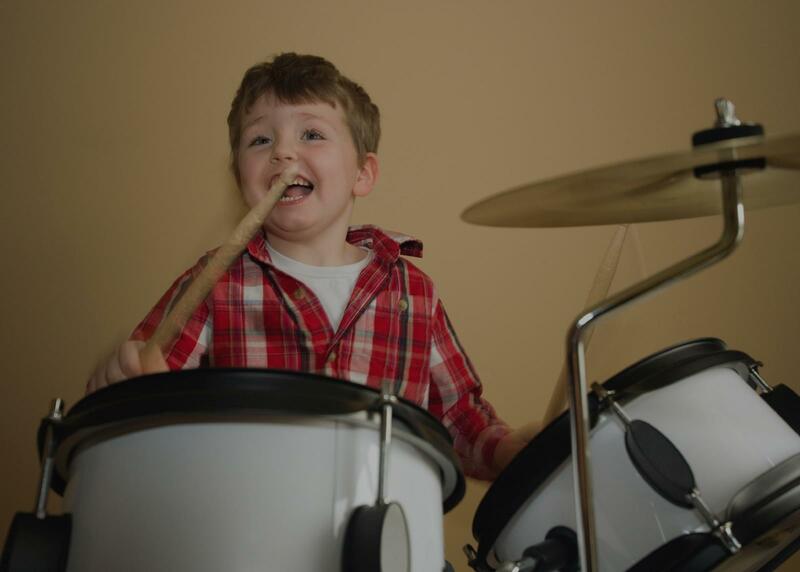 Drum set work, from beginner to advanced, goes along with snare work, all styles. Mallet percussion, bells, xylophone, marimba. hand percussion, bongos, congas, hand held small percussion. I enjoy sharing my love and passion for music with others! I have instructed privately for over 27 years. I have instructed in music store studios, my home studio, and in-home lessons. I have instructed in public, private and charter school systems; class room and privately. Besides performing, instruction (passing it on) is my passion. I have been performing professionally for over 35 years. I have toured nationally and internationally. I have been a full time self employed musician since 1987. John is fantastic teacher and very knowledgeable about music. He has a great rapport with his students. My daughter is very enthusiastic about her drum lessons with John every week and always looks forward to it. I would highly recommend John to anyone interested in music lessons. Not only is John an off-the-charts professional drummer, he's a fantastic human being as well! He loves music and it comes through in the lessons! In 35 years of playing and hanging around wannabees, John is the genuine musician! Anyone really wanting to learn correctly needs John. I recommend him 100%. Quality music lessons in a fun environment. I base my curriculum around my student's goals and interests. I have been around music my whole life and have been teaching music lessons for 10 years. My passion for music is matched only by my passion for teaching and seeing my students succeed. Alongside teaching, I enjoy performing and writing original music. Alan was awesome! My son needed some last minute lessons before an upcoming concert he was performing in. Alan helped him fine tune his part and gave him the confidence he needed. My son is now excited for the concert and can't wait to show everyone his talent! He's a great instructor and he's very good with children. I took guitar lessons with Alan for two years. Now my sons take piano, guitar, and drum lessons with him. I would recommend him because he is patient, very knowledgeable, and is a good teacher. I have been playing guitar, piano, bass, ukulele and drums for 11 years now (teaching for 7 years - Acoustic & Electric). As a child I started playing pop music, then I became obsessed with classic rock music (Guns & Roses, Iron Maiden, ACDC, etc). Soon after I started playing a lot of Modern Rock and Metal music. Then in my 20's I started to play blues and jazz as a means to learn advanced concepts in music and fell in love with the guitar all over again. At the age of 21 I went to Berklee College of Music where I studied composition and music production for four years. I am confident that I have the skills and resources to teach anyone from a beginner to an advanced musician. He was patient and amazing at the art of teaching. He knew how to teach guitar at grassroot level basics and it was awesome that a person with that level of skill was so good at teaching a beginner. Amazing guitar teacher! Would highly recommend him! Taught me about music theory and production too! Farrokh was a wonderful teacher - very helpful and patient. Also did a great job of incorporating music theory and production into the lessons. Would definitely recommend! Experienced drummer for hire! Berklee college of music graduate, traveled and toured with many different and unique artists, and have taught for the past five years. Looking forward to teaching new students! Not only will you be playing songs in no time, but you will be building a strong foundation of note reading, music theory, ear training, sight reading, technique, and more. Let's get started! Can't find a teacher in Carmichael, CA?